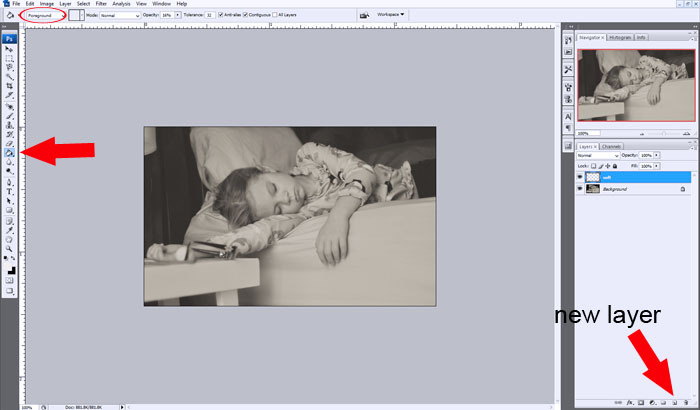 Have you seen those black and white images with coloring that is soft and faded? Ever wondered how you too can achieve that look? I’m here so show you how! 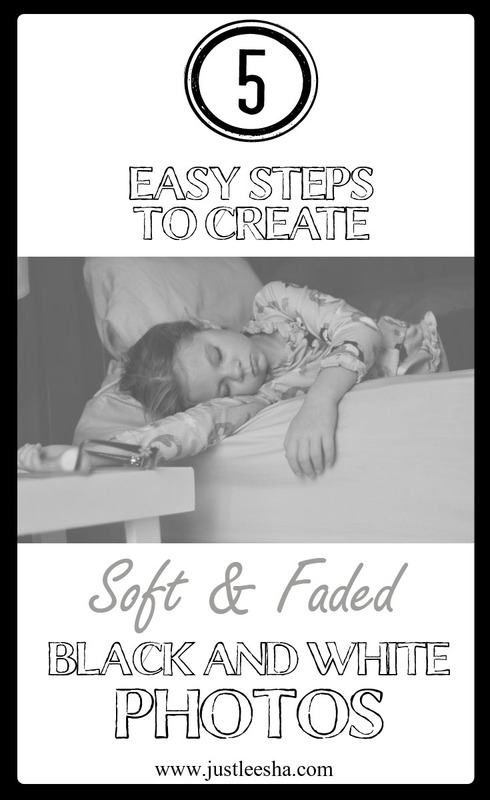 There are many ways to achieve that in Photoshop, but my favorite is a FREE action from Pioneer Woman called B&W Beauty. You can download it here. 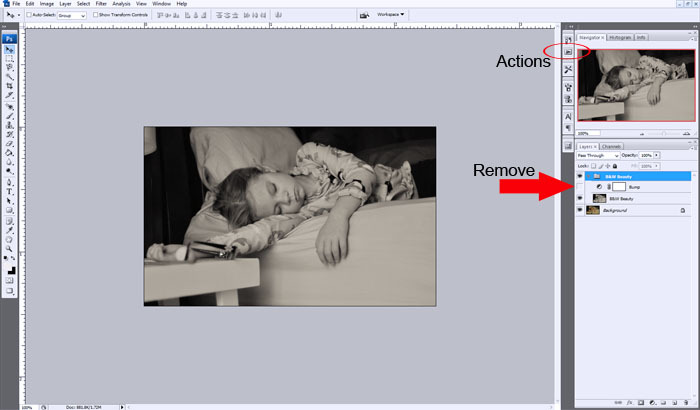 Run the action, open the containment folder and get rid of the ‘Bump’ layer. 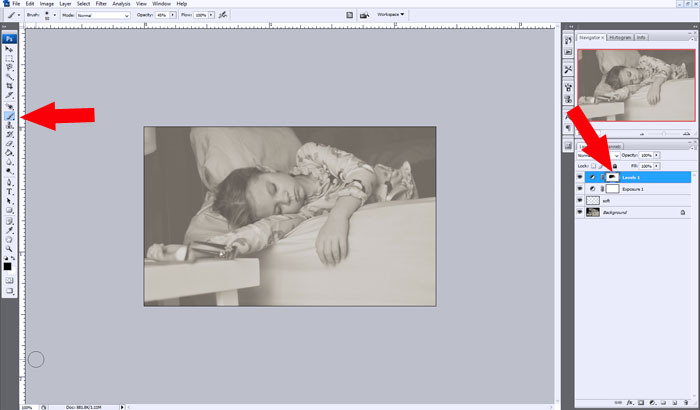 Add new white layer (with foreground selected) and adjust opacity to your preference. I used a very low opacity, less than 20%. 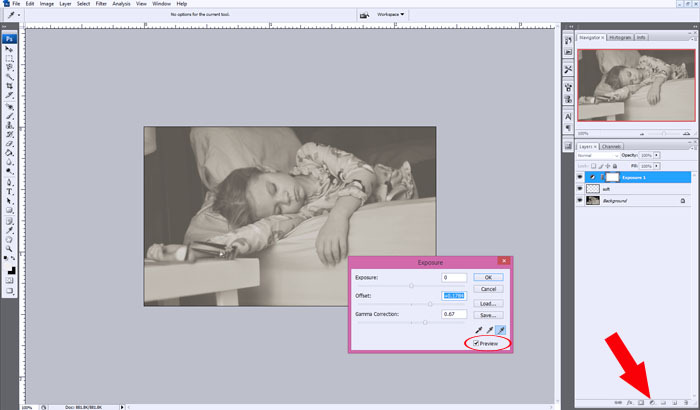 Select the ‘Fill or Adjustment Layer’ menu and click ‘Exposure’. Using the bars adjust the ‘Offset’ and ‘Gamma Correction’ to desired amount. 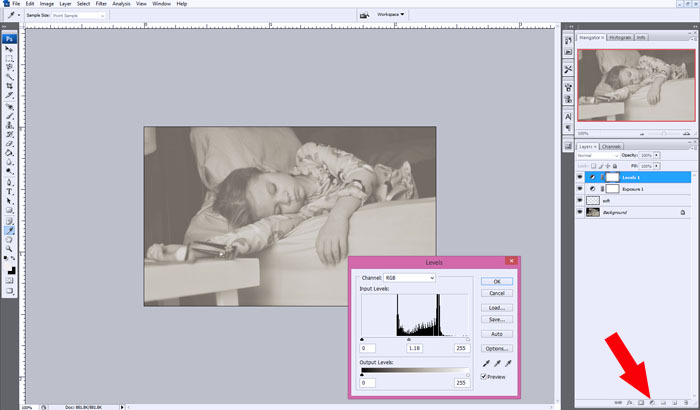 Using the same process as above, adjust the ‘Exposure’ bars. After steps 3 & 4 some important shadows can be lost, making the photo look flat. Using a black brush, paint away some of the Levels and/or Exposure reviving some of those shadows. Check out my Photoshop Tutorial Page. 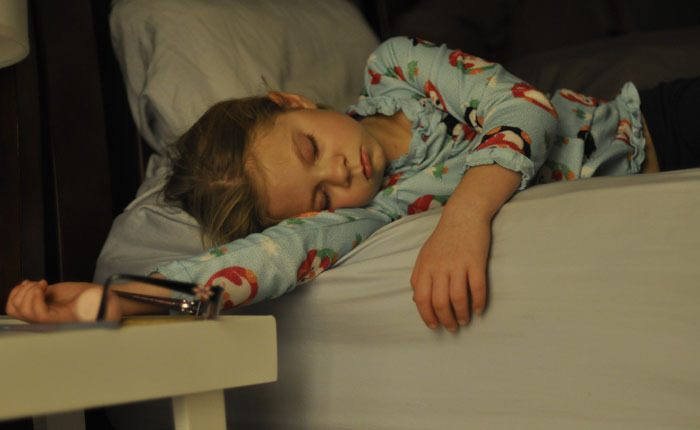 So soft – perfect edit for this sweet picture! Thank you! I have photoshop but am quite scared of it! Nice to meet you through top mommy blogs, I’ve pinned this! Don’t be scared Kristen! Photoshop is fun and you can get the hang of it after some practicing. I have more Photoshop Tutorials (http://www.justleesha.com/p/photoshop-tutorials.html) you might like. Let me know if you have any questions!